First Listen: Marissa Nadler, 'Marissa Nadler' The Boston singer-songwriter's dreamy, fragile folk songs have earned her a small but fanatical following. Hear Nadler's new self-titled album in its entirety. Marissa Nadler's new self-titled album comes out June 14. 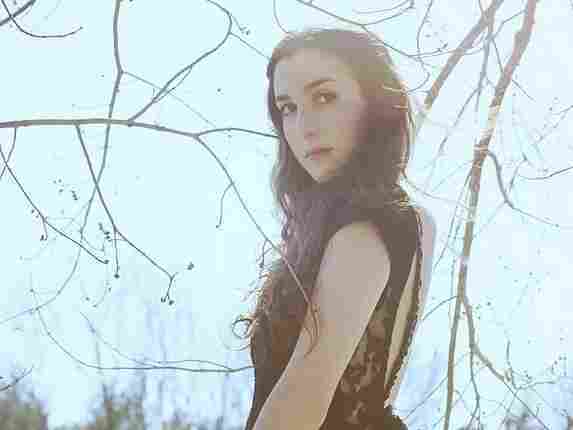 Since her 2004 debut, Boston's Marissa Nadler has drawn a big response from a small crowd. Her dreamy, fragile folk songs are revered among an assortment of tastemakers, but they haven't yet broken through to a larger audience. Her new self-titled album, recorded at the same Philadelphia studio where Sharon Van Etten made last year's Epic, should help change all that. Marissa Nadler was brought into being by Nadler's fans through a Kickstarter campaign. The result sets the bar for contemporary singer-songwriters ridiculously high, but it also draws from some classic influences. The album's centerpiece, "Baby, I Will Leave You in the Morning," summons the spirit of Roy Orbison and the pulsating vibes of Pink Floyd's "Comfortably Numb." The hypnotic "Wedding" surges with waves of subtle psychedelia. "The Sun Always Reminds Me of You," with its lush, sweet pedal-steel guitar and Nadler's delicate-yet-confident vocal, functions as an answer to Emmylou Harris' "Easy From Now On." Hints of Leonard Cohen and Kate Bush pop up everywhere. On this gorgeous new record, out June 14, Nadler outdoes herself with 11 songs that are as accessible as anything she's done, but also just as satisfying.